De Bethune continues to explore all the colour shades resulting from the heat released by the chemical reactions of heat-treated steel and titanium. In De Bethune’s workshops in L’Auberson, the particles become luminous and the metals – titanium in particular – emit a visible light… the material oxidizes, the properties are modified, the surfaces are transformed, new natural colours come to the fore. Denis Flageollet, Master Watchmaker and founder of De Bethune, initially started working with his team on the blue tonality. Natural blue, a colour linked to the notion of infinity and harmony, is one of De Bethune’s main fields of research. It has become the company’s distinctive signature. The iconic De Bethune DB28 features a polished grade 5 titanium case mounted on the two new floating lugs unveiled this year. Entirely redesigned, of intermediate size, harmonised and adapted to the essence of the watch, they come together in the hallmark rib, more prominent here, recalling the spirit of the first De Bethune collections. The hand-wound mechanical calibre is fully visible and incorporates several fundamental technical discoveries. The patented spherical moon phase is located at 6 o’clock. Made of steel and palladium, it is accurate to within one lunar day every 122 years. At the heart of the watch, the high-performance escapement developed by De Bethune features a titanium balance wheel with white gold weights and a flat terminal curve balance spring, ensuring an ideal mass-inertia ratio for the optimal frequency of 28,800 vph suitable for wristwatches. 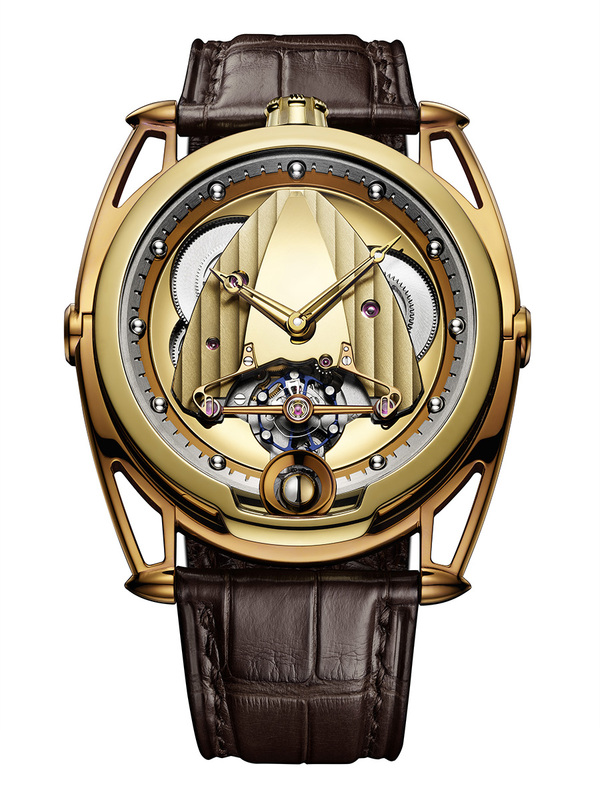 All finishes are by hand, featuring a polished titanium motion work bridge, “Côtes De Bethune”- decorated bridges and rose-work grinding on the barrel ratchets. The hours are indicated by skeleton hands on spherical polished steel indices. The whole finds its completion with an alligator strap presenting a brown buckle with a yellow pin buckle in polished grade 5 titanium, which also contributes to the practical and pleasant wearing of this timepiece.